cabinBART is participating in this year's Universal Design Award competition and is therefore also shown in the Universal Design Award exhibition, together with the other contestants. During the Munich Creative Business Week (February 07 - 12, 2012) the so-called "Kreativ Dialog der Generationen" event series takes place in the Oskar von Miller Forum in Munich. Besides the exhibition, there will also be live-workshops and presentations on several topics regarding the universal design principles. 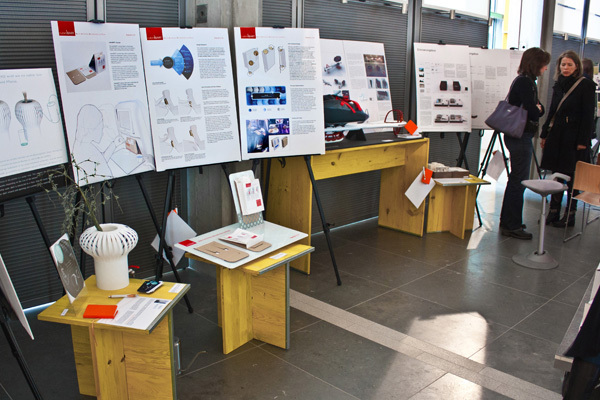 On February 8, 2012, the universal design expert jury will come together to evaluate all the contesting projects and declare this year's winners. If you are interested in seeing cabinBART or attending one of the other events, feel free to come over. The event series will take place from February 07-12 in Oskar von Miller Forum, Oskar-von-Miller-Ring 25, 80333 Muenchen, Germany. You can find more information about the universal design award on ud-germany.de. If you want to have more informationen about the "Kreativ Dialog der Generationen", you can find them here.